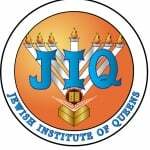 The Jewish Institute of Queens was founded to provide an exemplary, well rounded Judaic and general academic education to children in the Russian Bucharian community. Its educational policies are inclusive and individualized and they encourage students to utilize their individual potential and strive for excellence. Faculty members are chosen for their ability as well as their desire to teach and they are role models in both their behavior and dedication to their vocation. The community is invited to become involved in our school and its programs and to share their expertise and other talents towards even greater enhancement in our school.